Want to live forever? Well, a lot longer than average, anyway. Why not move to a country where people tend to live healthy lives longer than most? International Living is a magazine that is now into its fourth decade, and they have recently released a health edition. They have gathered info to come up with the top five healthiest places to live in the world. What the experts tell us is that genetics can only do so much when it comes to longevity. Far more important than what your genes say, in fact, as much as three times more important to a longer life than genes are the following factors: an optimistic outlook on life, maintaining a low-stress level, living with a sense of purpose, keeping active and eating a healthy natural diet. So it makes sense to seek out a place where people naturally live that kind of lifestyle. My sister and her husband Moved to Mexico in 2010with just this kind of intention in mind. Their experience has tempted others to consider the same change in lifestyle. While their destination did not make International Living's the top five list, on the Caribbean coast of the Mayan Riviera, they have found the same ingredients that make for healthy living. There is less importance placed on working hard and saving for your retirement and more emphasis on enjoying yourself and the company of others every day. The pace of life is slower, the cost of living lower, and it is far easier to eat and live healthy in the tropical climate. The local food is fresh, and the sea air is invigorating. The Mayan People are laid back and easy going. Shortly after moving down there, she and her husband went off their meds completely - so they must be doing something right. And I have never seen them happier. The Kiwis know how to live longer. 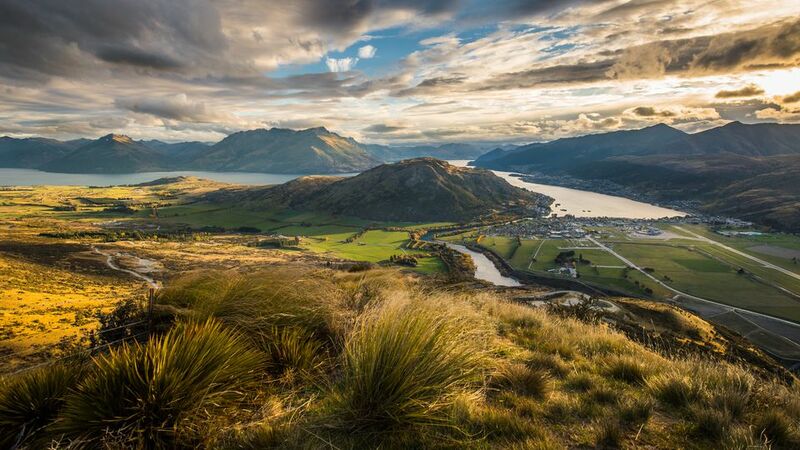 A clean environment, affordable healthcare, stress-free living, and an outdoorsy lifestyle are some of the key ingredients that make New Zealand a healthy place to live in. The diet is also ideal - organic products, healthy whole foods, and fresh seafood are all abundant and easily obtainable. The Volcan area in Panama is called the Shangri-La Valley, and the people here live on average significantly longer than Panamanians in the rest of the country. The thermal springs may have something to do with it, but the abundance of fresh local fruit and vegetables(much of it organic), and slow pace of life contribute as well. 1. The local indigenous diet of the Chorotega contains high-fiber fortified corn and beans. 2. The water is extremely hard and full of calcium which we know builds strong bones and teeth. 3. The people there focus on family - the support system and family ties are strong. 4. They tend to eat light dinners earlier in the evening. 5. Nicoya is the driest part of Costa Rica, and the dry air is good for keeping food fresh longer. Also, the sunny weather ensures the people there get loads of vitamin D.
6. Costa Ricans are very social, and the interaction adds to their enjoyment of life. 7. They enjoy their work, much of it physical. 8. They live with a strong sense of purpose and feel they contribute to a greater good. Sardinia is off the Italian Mediterranean coast. Its 1.3 million people are family oriented and lead essentially simple and active lives. Their diet is extremely healthy: whole grain flatbread, fava beans, tomatoes, greens, garlic, various fruits, olive oil and pecorino cheese that is high in Omega 3. In Ecuador's Vilcabamba’s “Valley of Longevity, ” people seem to live long and healthy lives. The mountain air is clean, and the water is abundant with natural minerals. Once again, the perfect year-round climate means people can be outdoors breathing that air all the time, and even leave windows open so that they can have that air in their homes. The good weather also means constant access to fresh fruits and vegetables. And of course, the laid-back valley lifestyle is very stress-free. So check out these countries if you are planning to move overseas. And if you don't care ever to leave the U.S. of A, then look at these Best Places to Retire in the U.S.